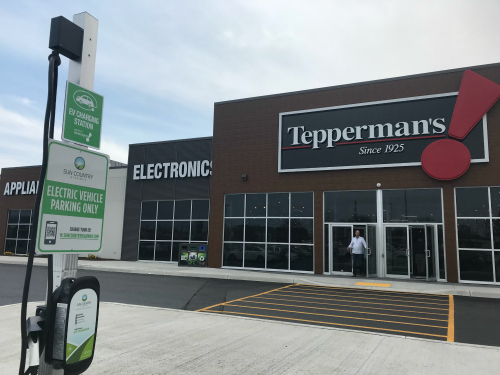 WINDSOR, Ontario – Regional full-line powerhouse Tepperman’s has opened its new concept store in Sarnia as it celebrates its 25th anniversary in this city on the border with Michigan. The replacement store is located in the London Road Shopping Plaza, which has undergone a complete redevelopment over the past several months. Tepperman told Home Goods Online the move was needed for several reasons. The lease on the old store in Lambton Mall was set to expire and there wasn’t enough room available for the addition of a Bargain Annex which Tepperman’s really wanted as Sarnia was the only store in the chain without one. They also wanted to improve the customer pick-up system at the store. 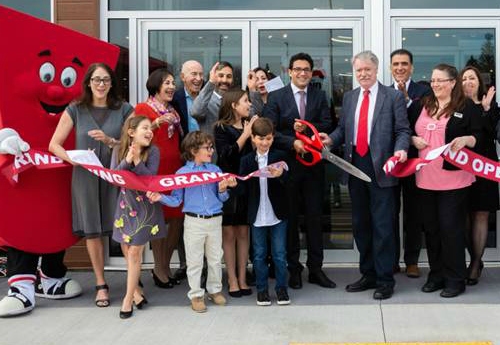 “The Bargain Annex continues to be growing part of our business targeting newcomers to Canada, younger consumers and those people looking for a great deal. 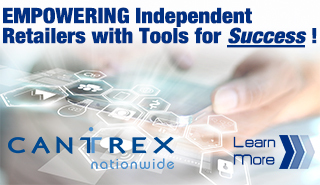 We use different suppliers than in the Tepperman’s store,” he explained. The new store is also slightly larger, covering 40,000 square feet – versus 33,000 square feet for the old location – and has an attached 40-foot high, 4,000 square foot warehouse, something that “allows us to increase our inventory without taking up a lot of square footage,” Tepperman said, adding the Bargain Annex occupies about 5,000 square feet. Sarnia also boasts a free electric charge station, an enhanced customer pick-up drive-thru, a free phone charge kiosk, help yourself candy jars (borrowed from Bob’s in the U.S.), defined pathways, enhanced track lighting, and credit kiosks to apply for their in-house financing. Tepperman said several good things happened on the Sarnia economic front shortly after the decision to move was made. “A number of very positive things were announced – from a multi-billion dollar petro-chemical investment to expansion of both the area health network and the local college,” he noted. The new Sarnia located will employ about 35 people as some new sales and warehouse positions were added to support the opening. The entire company now employs some 400 people across its five locations, which in addition to Sarnia include Windsor, Chatham, London and Kitchener.